Click to Request your FREE "no hassle" Estimate Today! Upgrading your older windows to energy-efficient windows with low-E coatings can reduce your energy bills by up to 15% per year. 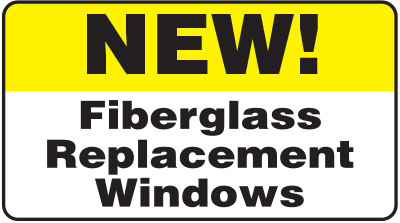 A recent study by Energy Star revealed that switching out your single-pane or even your newer double-paned, clear-glass windows to an energy-efficient window offered by Area-Pro, can save up to $465 per year. We’re extremely proud of our A+ rating. We work hard to ensure that every customer is satisfied with our work. Click to visit our BBB reviews page. 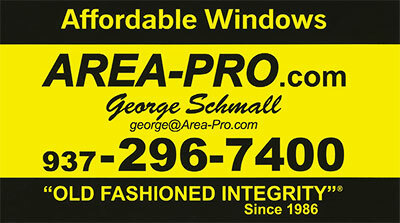 George Schmall started Area-Pro over 30 years with the goal of instilling ‘Old Fashioned Integrity’ and building a quality oriented name for himself in the Dayton area. Since then, his name has become synonymous with quality and integrity. 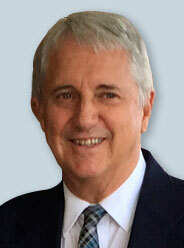 George relies on his customers to spread the word about the amazing work he has done for them. Offer may end at any time so don’t delay. Request your FREE “no hassle” estimate today! * Offer valid on projects over $2,500. Use this form to request your FREE "no hassle" estimate today! Fields with this symbol (*) are required.